TORONTO -- Angry and frustrated leaders of a remote northern Ontario reserve warned on Friday they will be forced to evacuate their community unless they receive immediate help dealing with mould-infested housing and their ailing children. 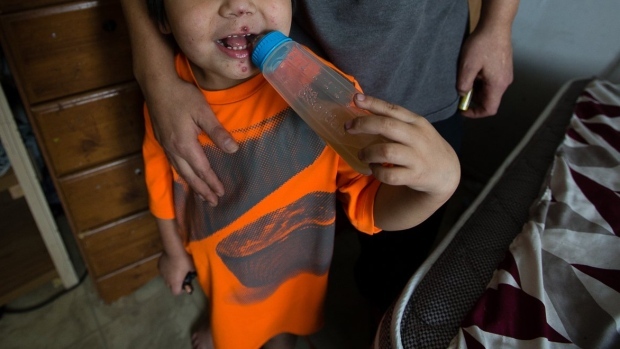 A month after Cat Lake First Nation declared an emergency over the squalid conditions that have left more than 100 children ill with severe skin conditions and lung infections, the community said both the federal and provincial governments have done little to help. "Nothing has been done. No action has been taken," Abigail Wesley, the deputy chief, said at the Ontario legislature. The situation, she said, was desperate. Almost 100 homes in the fly-in Ojibway community north of Sioux Lookout are in such bad shape due to mould, bare wiring and cracked foundations that they need to be demolished. The problem is that there are no other housing options. The roughly 450 residents of the community said they have been asking for help since 2006 to no avail. Poor health has become endemic, they said, with an average of one person every three days having to be medevaced out for health care. Treatment in the community comprises essentially of ointment and inhalers that can't fix the underlying problem, residents said. Joyce Cook, a band councillor, said the skin and lung ailments are taking a toll on the mental health of those afflicted. The community urgently needs both the federal and provincial governments to step up -- and right away, she said. "We're not even being recognized or heard," Cook said. "It's just an echo through the woods." For his part, Indigenous Services Minister Seamus O'Regan said on Friday that government officials and community representatives discussed an independent health assessment during a "technical meeting" on Feb. 7. A pediatric respirologist and support staff arrived in the community on Thursday to conduct the assessment and provide treatment as needed, he said. Another team with another specialist was due next week. "We will address the results of the assessment as soon as they are available on an urgent basis," O'Regan said in a statement. "We also reiterated and expanded upon our previous commitments to begin repairs immediately and to identify, with the community, units requiring replacement on an urgent basis." Provincial Indigenous Affairs Minister Greg Rickford said he's had discussions with the band leadership and was looking at the possibility of providing at least some immediate housing relief. He refused to discuss what specific measures the province was looking at. At the same time, Rickford accused the federal government of inactivity, and said he expected action. "They've done a lot of promising to these communities and delivered very little," Rickford said of Ottawa. "We'll continue to press them hard for it." 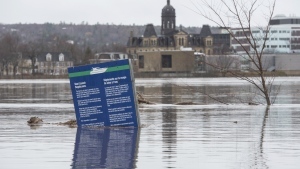 Provincial New Democrat Sol Mamakwa, who called the evacuation threat real, said the community could not keep living with a status quo that included federal-provincial bickering over responsibility for the situation while nothing changed. "Our people are always played in a game of jurisdictional ping pong," said Mamakwa, who represents the northwestern riding of Kiiwetinoong. "They fall into this jurisdictional black hole." Federal New Democrat Charlie Angus deplored the lack of action from both levels of government, saying people in Cat Lake have heard nothing but vague promises. Angus also called the threat of fire another unaddressed and critical issue, with children forced to sleep in basements beside unsafe wood stoves. "People can die and people will die if nothing is done," Angus said.